Back here in the real world, our travels before April’s NAB Show found us headed out of Las Vegas for a few days before coming back for the show itself. The direct route from Vegas to our first night’s stop in Palm Springs would have taken us just a few hours…but when do we ever go directly if there’s radio to be seen along the way? 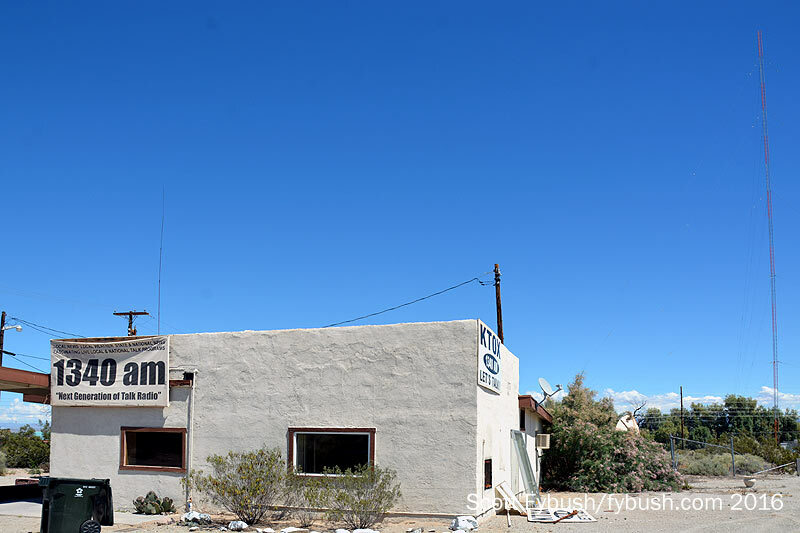 For a radio market that literally didn’t exist half a century ago, the towns along the Colorado River as it wends its way south from the Hoover Dam have grown massively. 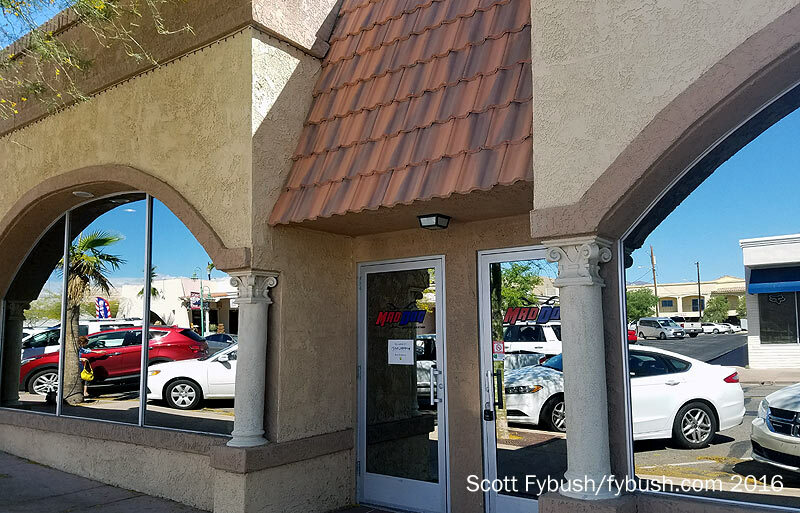 There are more than 200,000 people now living on the Arizona side of the river alone in Mohave County, and that doesn’t even include the booming populations in places such as Laughlin, Nevada on the other side of the Colorado. The least developed part of the region, by far, is the California corner of this tri-state area. That’s ironic, because Needles, California (where old US 66 and present-day I-40 cross the river) has been around much longer than the bigger new towns of Lake Havasu City and Laughlin. What’s now KTOX (1340 Needles) is the oldest station in the region, in fact – it signed on in 1952 as KSFE, presumably for the “Santa Fe” railroad that also ran along this corridor. We’d hoped for a tour of this small talk station, but alas, nobody was home when we stopped by…so the inside of KTOX will have to await another visit. Instead, we cross over to Arizona and then head south down Arizona 95 to what’s become the radio hub of the region. Lake Havasu City, created from scratch in the 1960s, is now home to two clusters that, between them, account for most of this market’s FM signals and listenership. 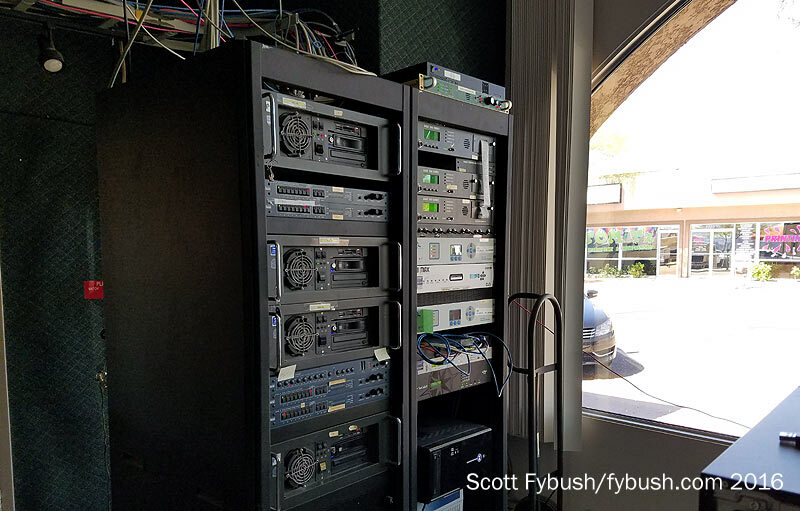 Along McCulloch Boulevard, the town’s main drag, we find the mirrored glass that shelters the studios of Murphy Broadcasting’s Mad Dog Wireless cluster from the hot desert sun. 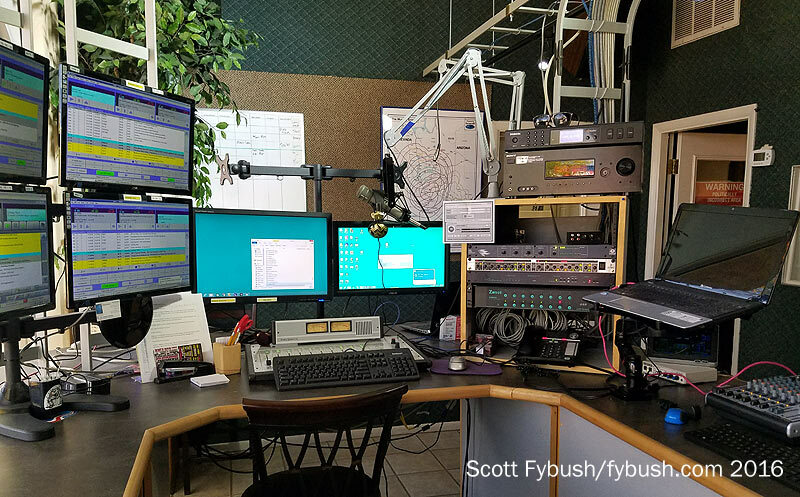 In here, Murphy runs five FM formats that are heard on a slew of translators that cover the 100-plus miles from Kingman in the north down to Parker in the south. How do you do all that in a market this size? It’s no coincidence, perhaps, that Rick Murphy has several of these licenses under the name “Smoke and Mirrors, LLC” – it’s all done with a lot of satellite feeds and automation out of one spacious main studio that looks right out on McCulloch Blvd. And that’s just one of the two big clusters here – at some point, we’ll need to swing back through to see the competition just down the street, where Radio Central runs four signals from an office building on the north side of McCulloch. This time, though, we’re headed south toward Parker and then westward down back roads to Palm Springs and eventually Los Angeles, which is where we’ll land for next week’s installment. See you then! Thanks to Rick Murphy for the tour!